The lab starts with a short lecture on the scientific method, after which students observe the results of a flume run that includes skeletal clasts. They form hypotheses about how bone clasts (or any clast for that matter) move and are deposited by a flow, then the students test their hypotheses by running a flume trial. The hypothesis tests take place in small groups (3-5 students), and the lab ends with homework where students use the information they learned from their hypothesis tests to interpret a fossil assemblage. 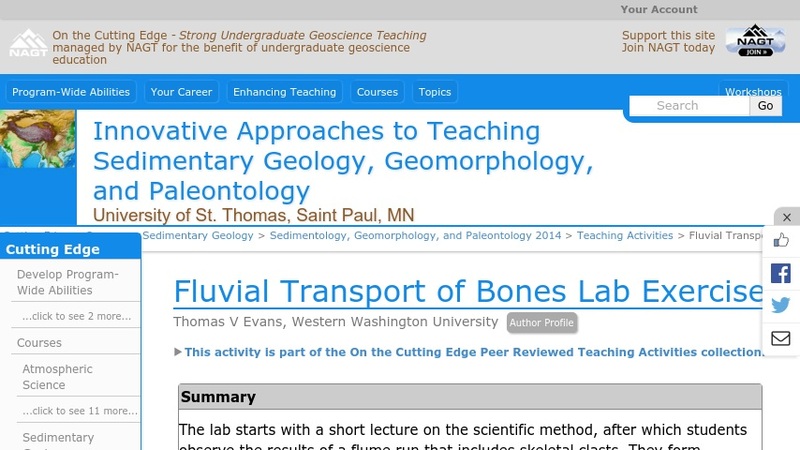 As such, this is a wonderful activity for introductory geology classes, could be used effectively with minor adjustments for advanced paleontology, taphonomy, and forensic physical anthropology classes.